This is data from 2012, and the American political matrix has changed a lot, but this is what we, as a majority, were thinking before the current era. 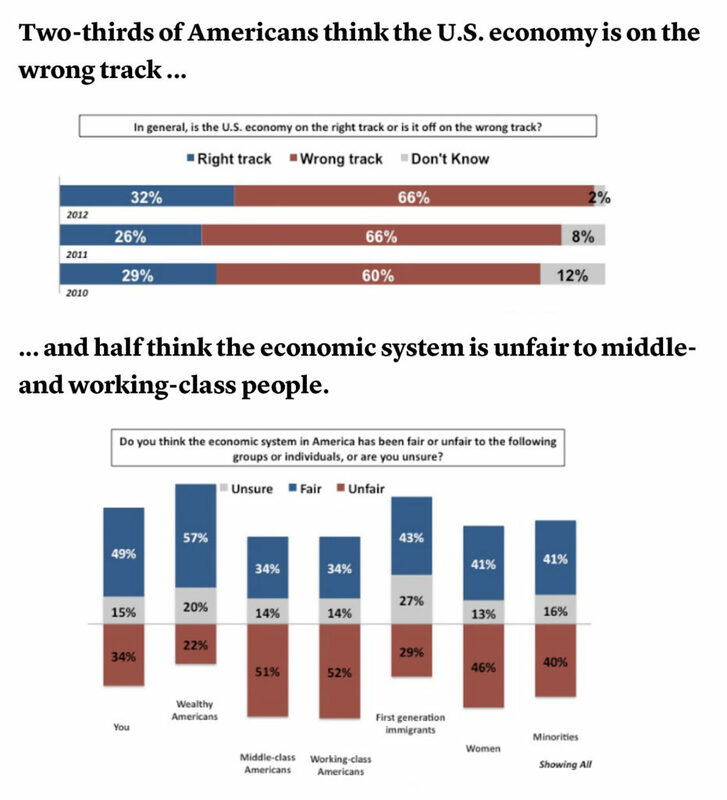 Two-thirds of us thought the US economy was on the wrong track. 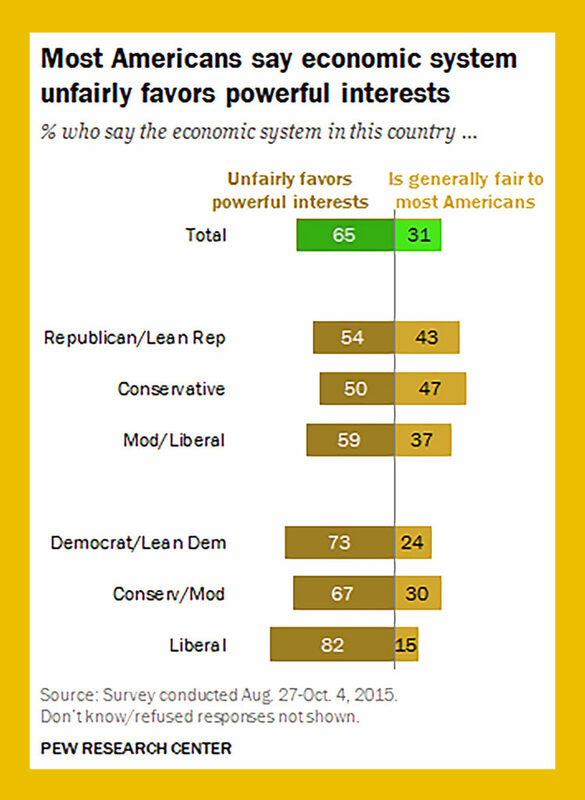 Half of us thought the economic system is unfair to middle- and working-class people. In 2015, we thought the economic system favors powerful interests.